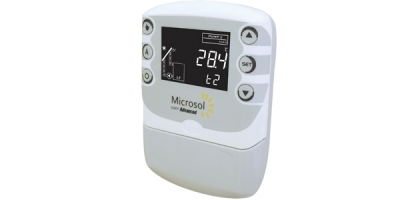 The Microsol SWP Advanced is a differential thermostat for solar heating that controls the water circulation pump. It controls based on the temperature differential between the solar collector and the pool or thermal reservoir. The controller has functions to prevent overheating and freezing of water in the solar collector. Also provides access protection to the parameters configuration. 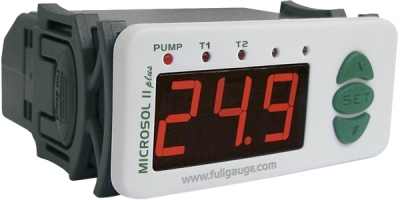 The Microsol Advanced line is characterized by its unique design for use in residential environments, by the easiness of operation with keys for easy access to the controller’s main resources and by the use of the custom display. The display technology employed allows presenting in a complete and simple manner the solar heating system’s information, such as: output status, pump operation mode, and sensor position and temperature. Solar heating systems for swimming pools and thermal reservoirs.